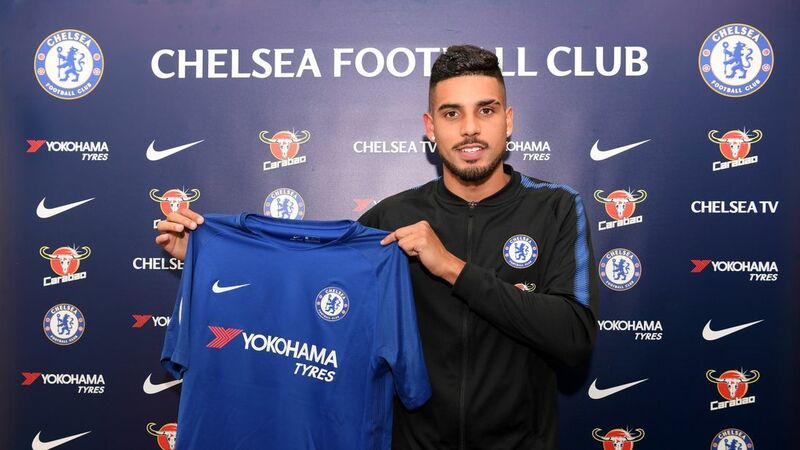 Premier League champions, Chelsea have officially completed the signing of Brazil-born Italian left back, Emerson Palmieri. The 23-year- old joins the Stamford Bridge outfit on a four-and- a-half-year deal after moving for an undisclosed fee. Chelsea manager, Antonio Conte had been looking for another left-footed defender to help reduce the workload on first choice left back, Marcos Alonso. Palmieri has become the Blues second signing of the January transfer window after the arrival of Ross Barkley from Everton. Palmieri only regained full fitness from a long-term knee injury in December, but that hasn’t deterred Chelsea who feel he will get back to his dominant best that saw him hold down the Roma leftback position prior to his injury. The player made his mark in Italian football with Roma in the 2016/17, making 36 appearances and establishing himself as one of the best defenders in the Serie A prior to his injury. Palmieri, 23, looked elated after signing the contract. He told Chelsea’s official website that, “I came here because it’s a great team with a great history, “Today I am realising one of my dreams to pull on the shirt of such a great club.”. Palmieri is a classy defender known for his trickery on the ball, pace and creativity. He will be a quality addition to the Chelsea first team and compete with Alonso for the position as the club’s number 1 leftback. The Brazil-born Italy international will not be eligible to make his Premier League debut when Chelsea host AFC Bournemouth on Wednesday, 31 January, but could face Watford on Monday.